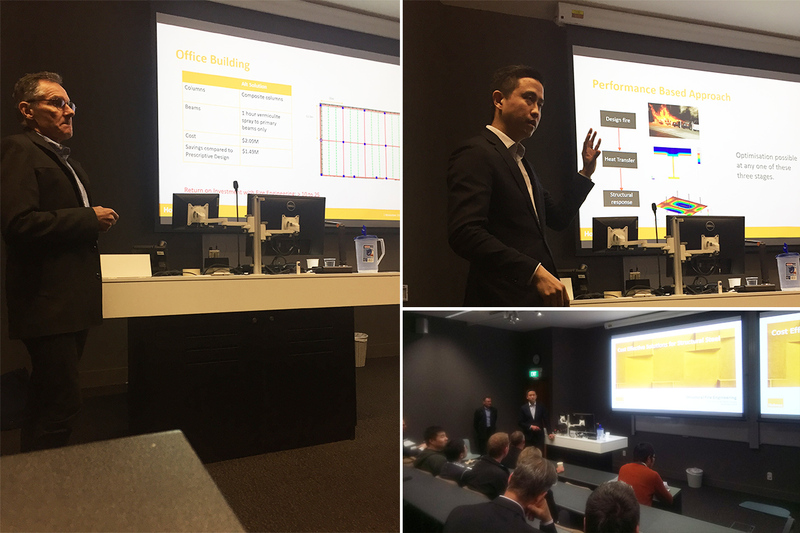 At the beginning of the month, HERA was honoured to sponsor a presentation on cost effective fire solutions for steel structures in collaboration with the Auckland Structural Group. 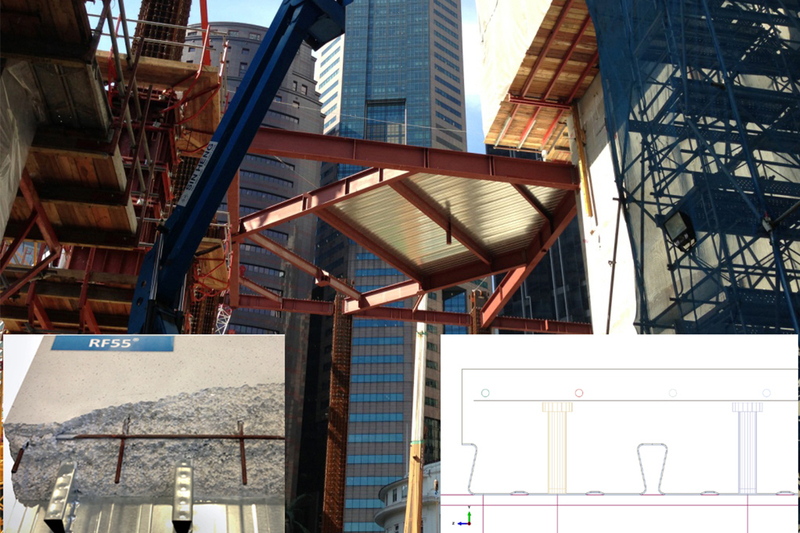 We’ve found it’s a growing area of interest to many of our members and to the structural engineering fraternity. Particularly as it’s been captured in the new Australasian multi-storey composite building design standard AS/NZS 2327:2017, where the latest advances in the fire design of composite concrete/steel structure components are comprehensively covered. This, coupled with the increasing use of structural steel framed construction, inspiring us to drive better understanding in this space. Presented by Holmes Fire Technical Director Dr Linus Lim, and Principal Martin Feeney – it was well attended by over 70 people. Holmes Fire Principal Martin Feeney and Technical Director Dr Linus Lim presenting on cost effective fire design. The presentation summarised material behaviour under elevated temperature, the most significant aspects professionals need to be aware of when designing steel structures for natural fire conditions, effects of fire, and more. At HERA we believe it’s important to connect our industry with this type of technical knowledge. In an increasingly competitive materials market, it ensures NZ fabricated steel structures continue to be the safest building material choice not only in seismic events but fire conditions also. eliminating unnecessary reinforcement and/or concrete slab thickness. 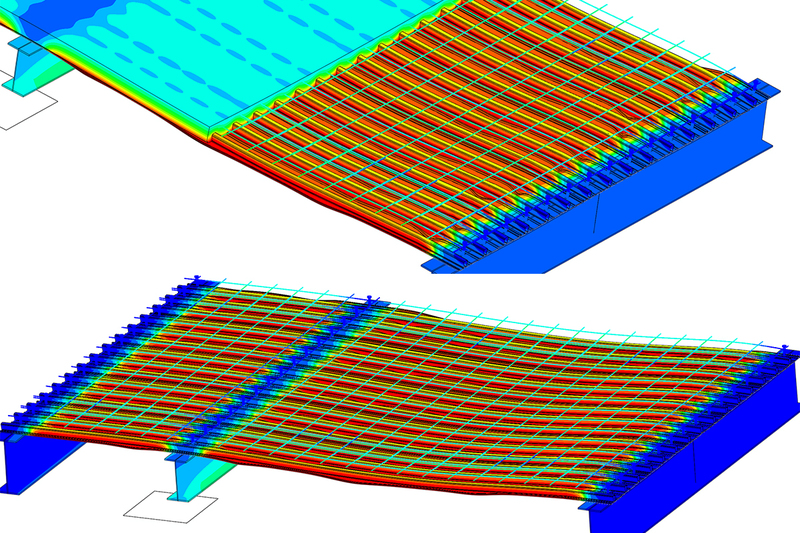 Finite element analysis where slab is partly shown and then not at all. 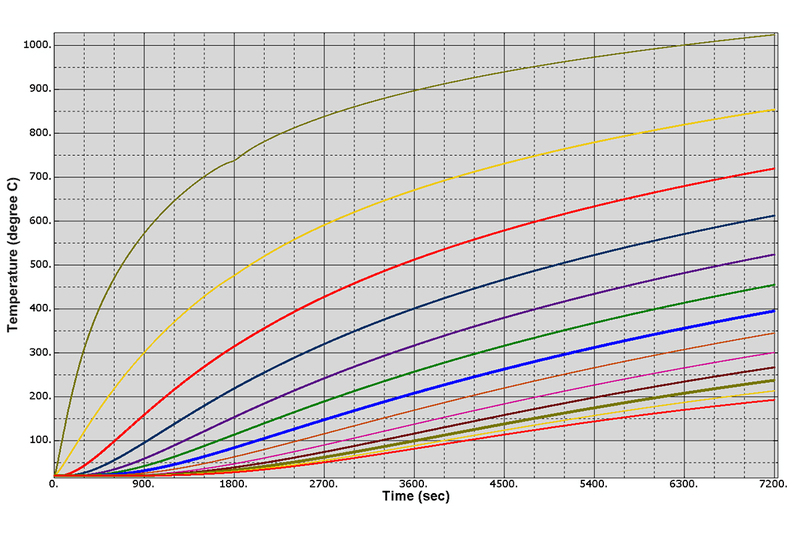 Temperature distribution through a composite steel concrete slab over time. Fire test DEF shape and comparison paper xpl5A. “Looking back, we started from humble beginnings – assisting in experimental fire testing almost twenty years ago. Today, we’re now able to provide advanced sequentially-coupled thermal-stress fire simulations, and have published reports, conference and journal papers,” he said. 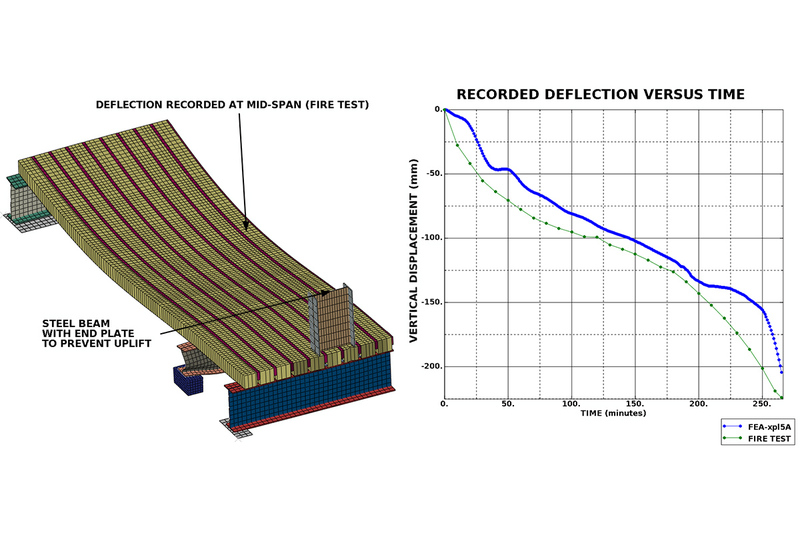 If you’d like to find out more about our FEA capabilities to assist with your fire design challenges, please contact our Finite Element Analyst Nandor Mago. We’re here to help!